Cryptocurrencies have shocked the entire world with a sudden surge in prices during the past few months. ‘Bitcoin’, till now, has been the most popular name in the world of cryptocurrencies. With the market leader Bitcoin enjoying all the ‘talking’, other rapidly growing cryptocurrencies have gone under the shadow of Bitcoin’s spotlight. An example is Litecoin. The fourth-largest digital currency by market capitalization, Litecoin has gone straight up in the value chart after crossing the $320 barrier, for the first time, on Tuesday. Litecoin’s value has increased by up to 7,291%, against bitcoin’s 1,731%, in 2017. Some investors who believe that Bitcoin-rise has reached its maximum level are investing in other cryptocurrencies such as Litecoin which, they think, have a substantial potential to rise further. Litecoin, founded by Charlie Lee, an MIT graduate and former Google engineer, is a peer-to-peer cryptocurrency and open source software project released under the MIT or X11 license. Creation and transfer of coins are based on an open source cryptographic protocol and is not managed by any central authority. 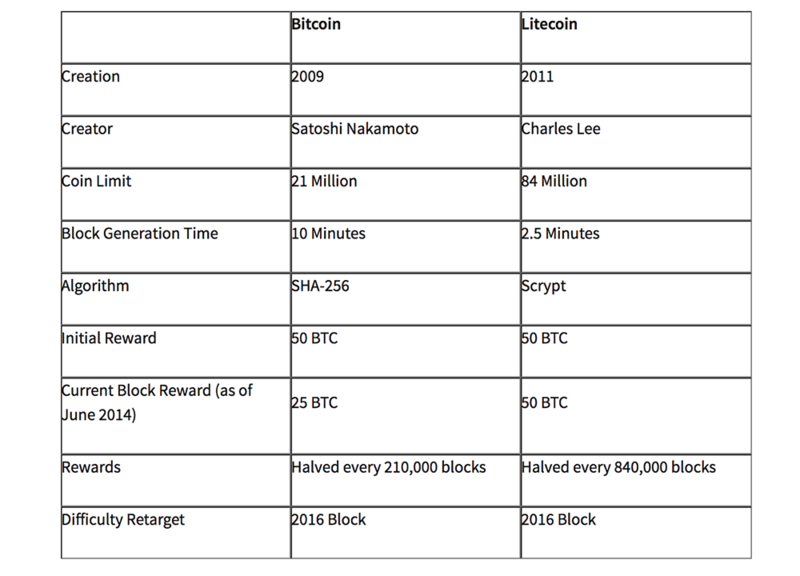 Litecoin has some minor technical differences compared to Bitcoin and other major cryptocurrencies.